October 31, 2013. Tags: Health care, Obamacare, Politics. Health care, Politics. Leave a comment. October 29, 2013. Tags: Barack Obama, Health care, Obama, Obamacare, Politics. Health care, Politics. Leave a comment. So the Obama administration admitted in July 2010 that Obamacare would cause people to lose their insurance. But the mainstream media waited until after the 2012 election to report this information. Of course to anyone who understands logic, it was obvious that Obamacare would cause people to lose their insurance. Obamacare requires all policies to cover pre-existing conditions, maternity care, treatment for heroin addiction, and several other specific things. Any policy that does not already cover these things is rendered illegal by Obamacare, so of course such policies would be canceled as a result of Obamacare. That’s just simple logic. By waiting until after the 2012 election to report on something that the Obama administration admitted in July 2010, the mainstream media has revealed its pro-Obama bias. October 28, 2013. Tags: Health care, Media bias, NBC, NBC news, Obamacare, Politics. Health care, Media bias, Politics. 1 comment. In other words, the Obama administration says we shouldn’t believe the Washington Post, the New York Times, the San Francisco Chronicle, Associated Press, Reuters, CNN, MSNBC, ABC, CBS, NBC, PBS, NPR, Politico, the Wall St. Journal, the Christian Science Monitor, Investor’s Business Daily, Forbes, the BBC, Huffington Post, the Nation, Mother Jones, or New Republic. October 27, 2013. Tags: Associated Press, Barack Obama, BBC, Kathleen Sebelius, media, New York Times, NPR, Obama, Obamacare, PBS, Politics, Reuters, Washington Post. Barack Obama, Health care. 4 comments. Happy Halloween! “The Ghost Who Walks” and three other awesome music videos by Karen Elson! October 25, 2013. Tags: Ghosts, halloween, Karen Elson, MTV, Music, Music videos, The Ghost Who Walks. MTV, Music. Leave a comment. Regardless of what the project is, Obama doesn’t want to do things properly. Instead, all he cares about is helping out his crony friends. When Obama was a state Senator in Illinois, he gave tax dollars to his crony contractor friends to build 504 units of slum housing, which had mice and backed up sewage. Federal inspectors graded the condition of the housing so bad that the buildings faced demolition. As President, the Obama administration gave $535 million to Solyndra, claiming that it would create 4,000 new jobs. However, instead of creating those 4,000 new jobs, the company went bankrupt. It was later revealed that the company’s shareholders and executives had made substantial donations to Obama’s campaign, that the company had spent a large sum of money on lobbying, and that Solyndra executives had had many meetings with White House officials. There is no real difference between any of these three things. The specific details differ, but the basic, fundamental principles of all three are the same. October 23, 2013. Tags: Barack Obama, Government waste, Health care, Obama, Obamacare, Politics, Public housing, Solyndra. Barack Obama, Politics. 3 comments. Obama has absolutely no right to be “frustrated” about any of the Obamacare webstie’s problems, because he is the person who chose to cause those problems in the first place. It was Obama who signed a 2,600 page law that he hadn’t read. It was Obama who added an additional 20,000 pages of regulations that he hadn’t read to Obamacare without Congressional approval. It was Obama who chose to hire cronies instead of competent programmers to create the Obamacare website. It was Obama who waited until after the 2012 election to issue some of the main rules for the Obamacare website, which gave the programmers less than one year to comply with those rules, instead of the three and half years they would have had if Obama hadn’t waited. It was Obama who falsely said that the price of annual family insurance premiums would fall by $2,500. It was Obama who falsely told people that they could keep their insurance if they were happy with it. It was Obama who gave employers a huge financial incentive to switch their full time employees to a part time, 29 hour week. It was Obama who refused to fire Secretary of Health and Human Services Kathleen Sebelius after the Obamacare website failed. Every thing that’s bad about the Obamacare website is the direct result of choices that Obama made. Obama has no right to be “frustrated” at the website’s failure. You want to know the people who really do have the right to be “frustrated” at Obamacare’s problems? It’s the people who have opposed Obamacare from the start. It’s the people who predicted that these problems would happen. It’s the people who called the bluff from the very start on Obama’s many lies about Obamacare. These are the people who have the right to be “frustrated” at Obamacare’s problems. And yet somehow, not only does Obama falsely say that he is “frustrated,” but he also falsely says that he is more frustrated than anyone else. The people who truly are “frustrated” are the millions of people who were against Obamacare but are now being forced to participate in it. Obama owns this – he created it. He has no right to be “frustrated” about it. October 23, 2013. Tags: Barack Obama, Health care, Obama, Obamacare, Politics. Barack Obama, Health care, Politics. 2 comments. October 18, 2013. Tags: Barack Obama, Health care, Obama, Obamacare, Politics. Health care, Politics. Leave a comment. Instead of practicing what she preaches in her “Let’s Move” program, Michelle Obama has decided to avoid picking her own vegetables from her own garden, and instead, to allow them to rot. In the famous White House kitchen garden, tomatoes are rotting on the vine. Herbs have gone to seed. And the sweet potatoes – a favorite of President Barack Obama – have become worm food. It’s another impact of the government shutdown, one that only the fox and the many squirrels that live on the White House grounds could love. For the past five years, the media has told us about Michelle Obama’s garden. But now we see that it’s a fraud. It was never her garden. It is and always has been the government’s garden. And now that there’s a government shutdown, there are no government employees to pick the vegetables. I guess Michelle Obama is too lazy to take her own advice from her “Let’s Move” program to “get moving” and pick her own vegetables. October 15, 2013. Tags: Gardening, Government shutdown, Government waste, Michelle Obama, Politics. Government waste, Politics. Leave a comment. Yahoo! 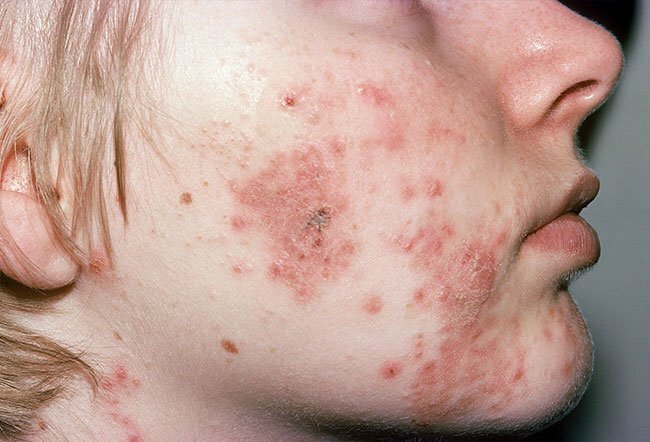 News recently published this article on acne. October 15, 2013. 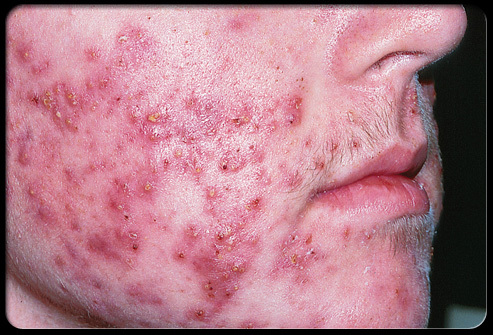 Tags: Accutane, Acne, body image, Cystic acne, Dermatology, Health care, Media bias, self esteem, yahoo, yahoo news. Health care, Media bias, Science. 1 comment. October 10, 2013. Tags: Barack Obama, Health care, Obama, Obamacare, Politics. Health care, Politics. Leave a comment. drudgereport.com is run by Matt Drudge, who runs the website in his pajamas from his apartment. I’ve visited his website just about every day since the late 20th century. It runs very well. His website has gotten as many as 45 million hits per day. On the first day of the Obamacare website, it had 5 million visitors. It could not handle that amount of traffic. IT experts who had analyzed the data going to and from the Obamacare website said the reason that people could not use it was because it was launching the equivalent of a “denial of service attack” against itself. They said the website was sending and receiving massive amounts of unnecessary data back and forth between itself and users’ computers. The IT experts attributed this to bad programming, and said that adding more servers would not fix the problem. October 5, 2013. Tags: Denial of service attack, Drudge Report, drudgereport, drudgereport.com, Health care, Humor, Internet, Matt Drudge, Obamacare, Technology. Health care, Humor, Technology. 6 comments. October 4, 2013. Tags: AFL-CIO, Barack Obama, Doctors, Health care, Health insurance, Hospitals, Insurance, Obama, Obamacare, Politics, Teamsters, Unions, UNITE-HERE, Univeral health care. Health care, Politics. 3 comments.